Switzerland risks becoming dependent on electricity imports as its citizens prepare for a plebiscite on whether to hasten its exit from nuclear power. The nation faces losing a third of domestic supplies and becoming a net buyer of power if it opts to start closing its five nuclear plants as early as next year. The Swiss will vote on Sunday and the anti-nuclear proposal has a slender lead in opinion polls. While Switzerland’s location is well suited to get power from its neighbors, its access to the European Union’s single market was hampered after the nation voted in 2014 to impose immigration quotas on EU citizens. As long as negotiations with EU on immigration drag on, direct access to the bloc’s electricity market remains out of bounds, weakening supply security. 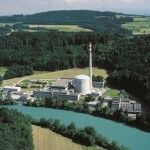 While Germany’s response to the Fukushima disaster in 2011 was to start decommissioning some of its reactors within months, the Swiss approach has been to phase out atomic generation by closing stations as they reach the end of their working lives, which could be almost 30 years from now. 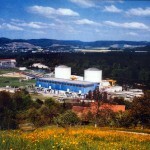 The country’s Beznau 1, opened in 1969, is the oldest operating reactor in the world. Frustrated by the hazards in keeping the plants open for so long, the Green Party-led initiative calls for three reactors to close next year and the other two in 2024 and 2029. Supporters say the nation can easily make the transition to renewables as it already gets 60 percent of its electricity from hydropower plants. Nuclear provided about 34 percent of its power last year. Backing for the initiative is tight, with 48 percent in favor and 46 percent opposed, according to survey by gfs.bern for broadcaster SRG. Only four weeks earlier, a poll for the same company showed 57 percent supported an early exit, with 36 percent against. The latest survey came before an earthquake rocked northern Japan off the coast of Fukushima on Tuesday. The quake, an aftershock of the one five years ago, briefly knocked offline a cooling system for spent nuclear fuel at a separate Fukushima plant. 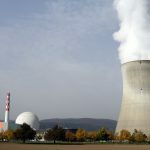 An early nuclear exit would make it necessary to boost investments to accommodate increased imports as well as strengthen connections from hydropower plants to areas currently served by reactors, according to utilities BKW AG and Axpo Holding AG. That means higher energy bills for consumers. “The risk of grid instabilities and ultimately blackouts would increase dramatically,” Tobias Kistner, an Axpo spokesman, said by e-mail. More time is needed for infrastructure investments, he said. Quitting nuclear before plan would cost Axpo 4.1 billion francs ($4.1 billion) in lost revenue and decommissioning costs. Utility Alpiq Holding AG says it faces losing 2.5 billion francs. Both companies said they will seek compensation.